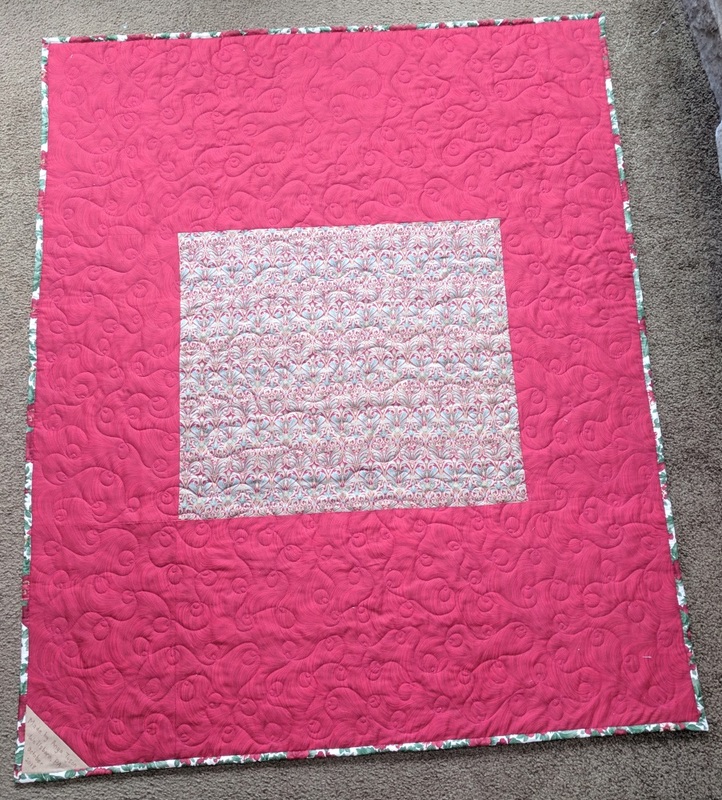 My quilt guild has decided to make a scrappy quilt as our next raffle quilt. We had a raffle quilt preparation bee earlier this week, so the call went out for members to donate their assorted scraps -- all colors/patterns/value. 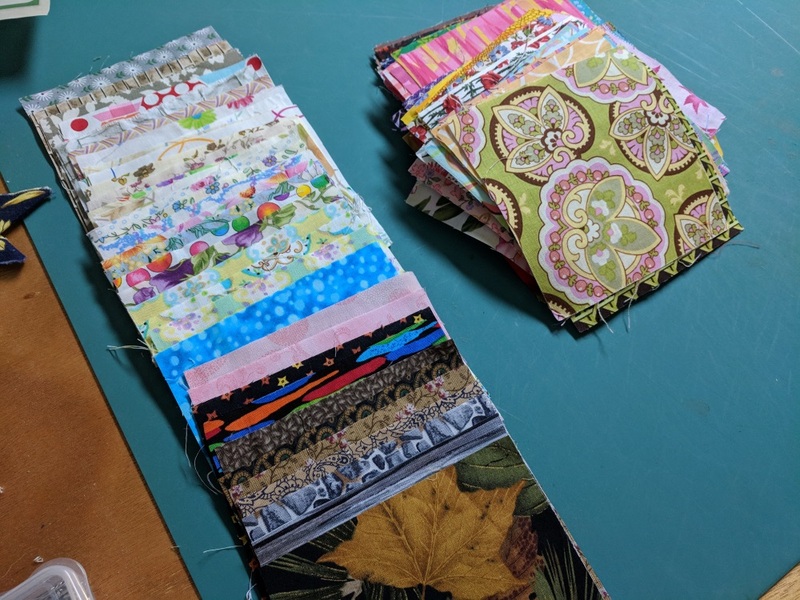 It's amazing how many different fabrics were in the piles to be pressed and cut into usable sizes for the pattern that was chosen. 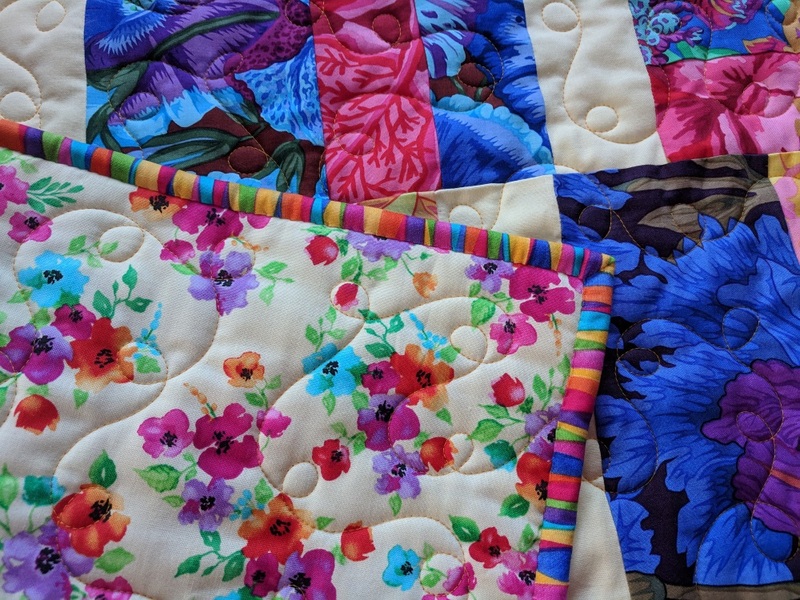 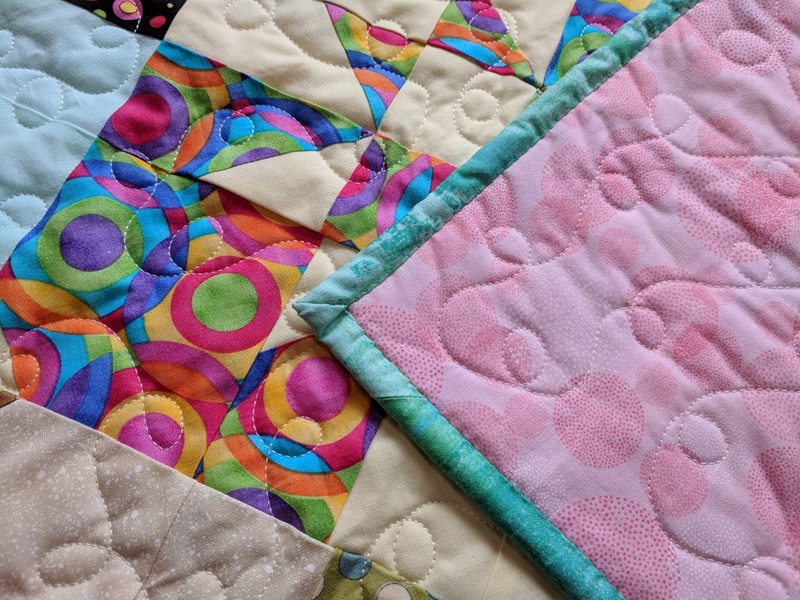 We have quilters who love batiks, quilters who love country colors, quilters who love novelty fabrics, quilters who love modern fabrics, quilters who love bright colors...you get the picture. 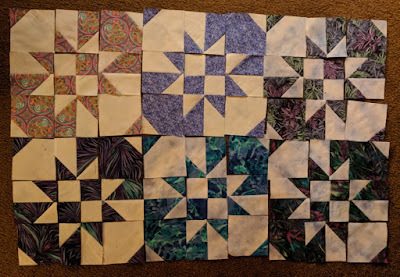 It's going to be an awesome quilt once it's finished later this year. In the meantime, this has inspired me to take some control over my overflowing bins of scraps and to organize them in some way. I've started with cutting a 2 1/2-inch strip and 5-inch square from everything. 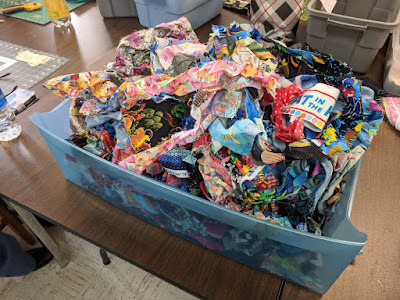 Here's a shot of one of my scrap bins -- the "fun" fabrics, as I call them...Some of them will wind up in my guild's raffle quilt and some are being cut into usable sizes for me to use in future quilts. 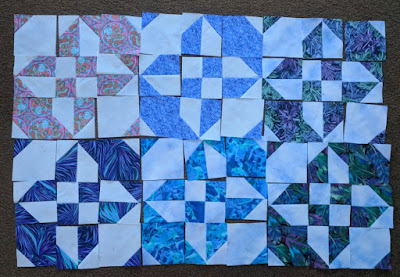 Here are a couple of photos of the start of my project...more have been cut since I took these photos a few days ago. 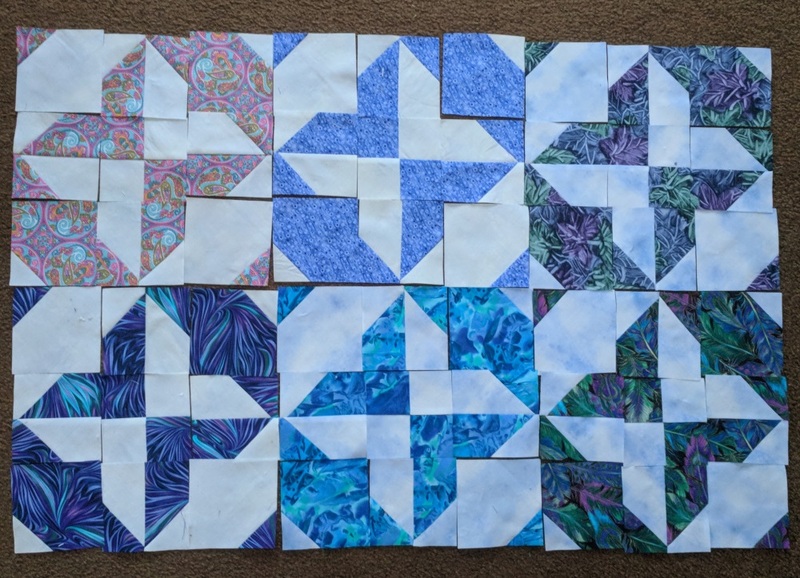 I have so many projects in mind for these pieces, but first, I want to do more organizing. 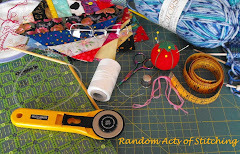 Too many ideas and not enough time! 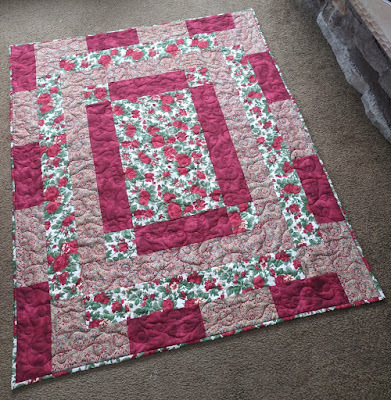 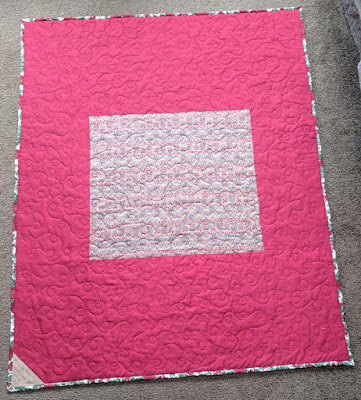 In my previous post, I showed a quilt that I had finished using the Disappearing Hourglass tutorial from Missouri Star Quilt Company. 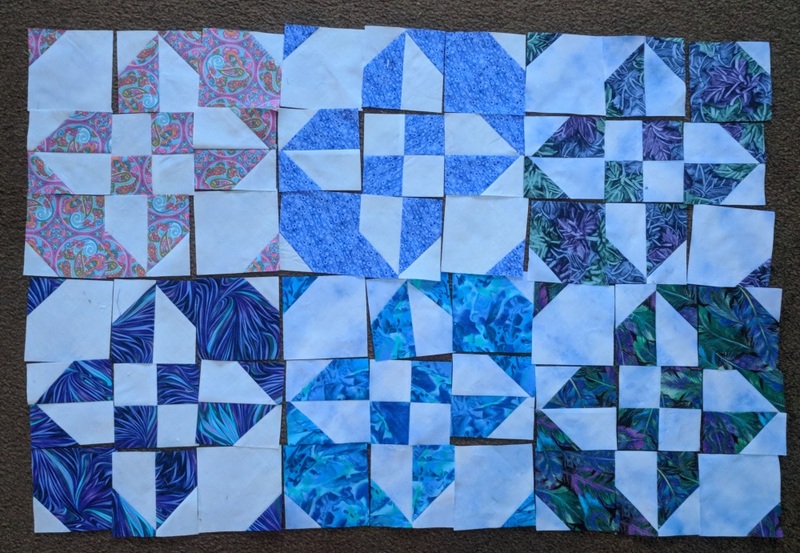 It was just one layout of many possibilities. 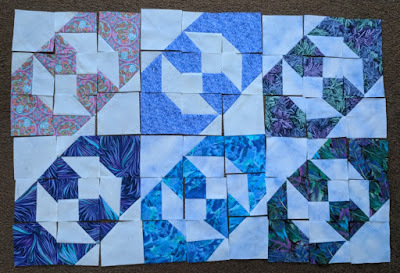 Last March, I taught a workshop for my guild using this technique, and during the workshop, I showed several layouts that are possible. Here are a few... (click on the photos for a larger view). 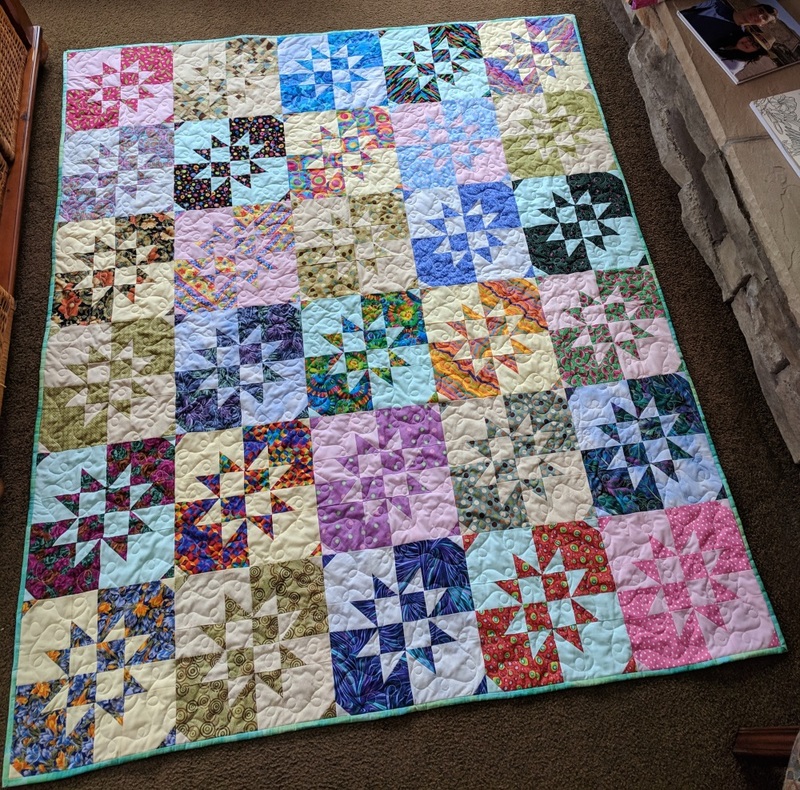 Here's my first finish for 2019. 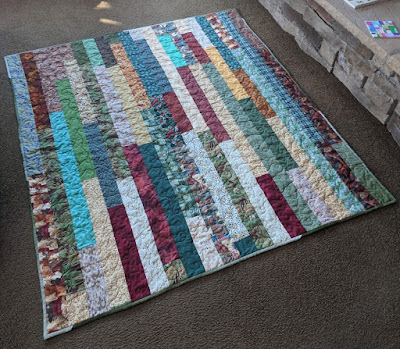 It's one of the layouts that's possible using the Disappearing Hourglass tutorial by Missouri Star Quilt Company. There are several layouts that can be made from one technique. 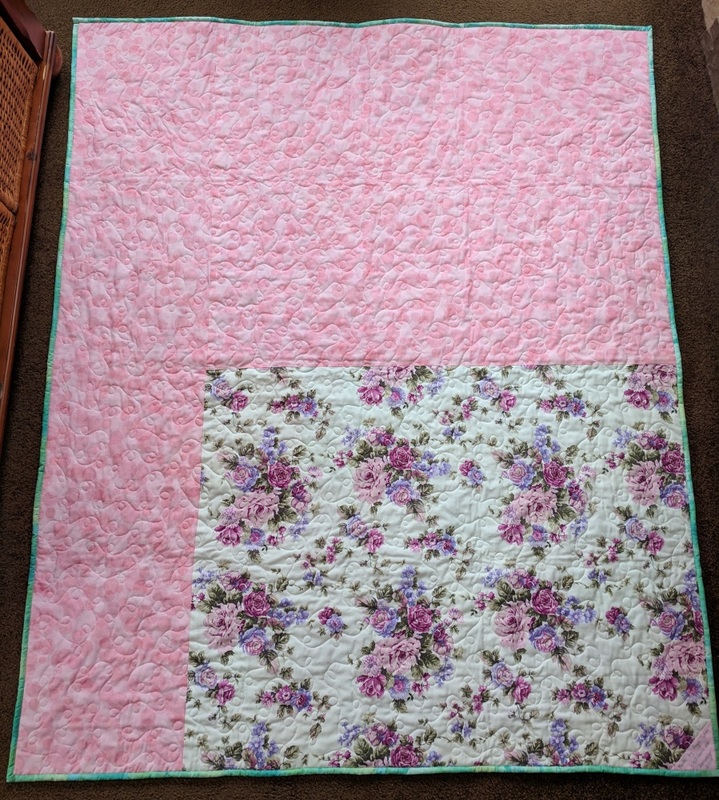 It just depends on which way you position the blocks. All of the fabrics came from my scraps/stash. 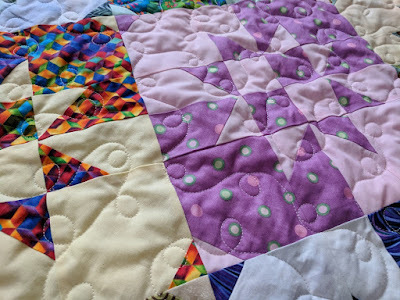 Wow, it's been almost two months since my last blog post, but that doesn't mean that I haven't been busy quilting. 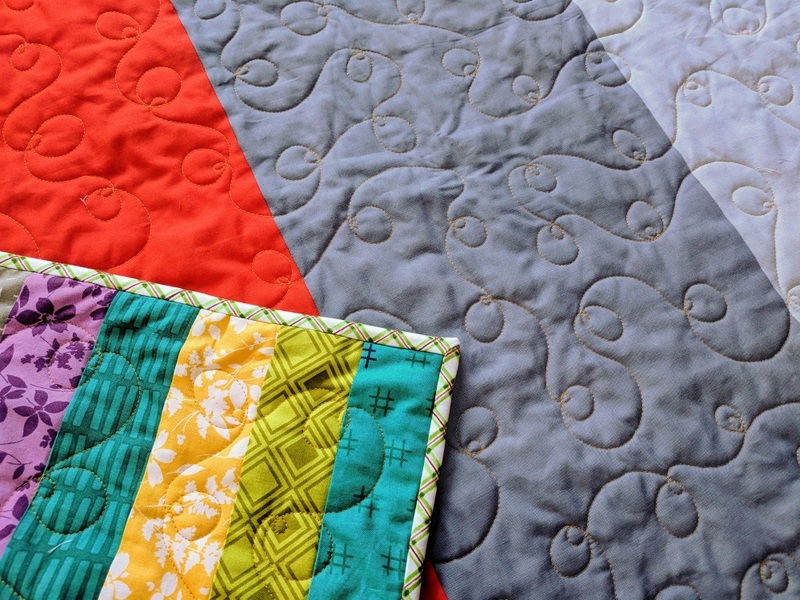 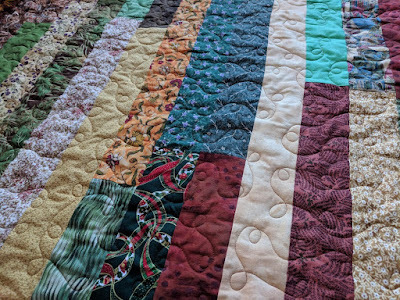 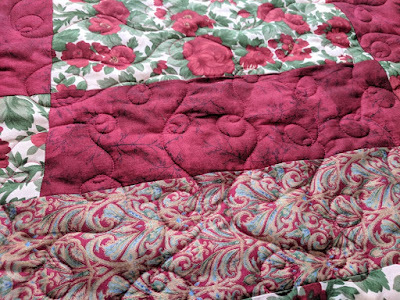 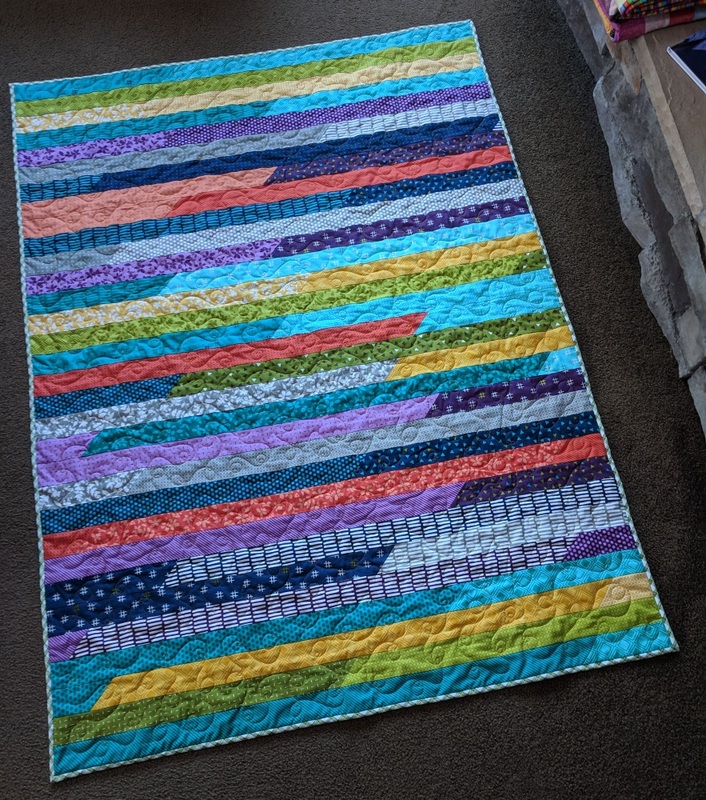 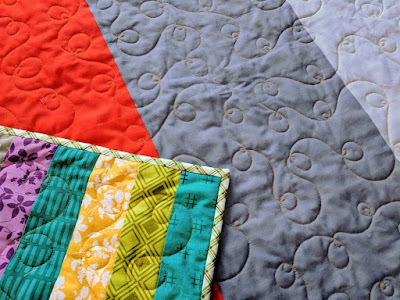 Here's a quilt I finished in December using the "jelly roll race" method. 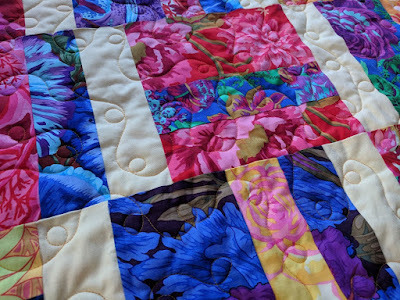 A few years, I treated myself to what I thought was a fat-quarter bundle of Kaffe Fassett fabrics. 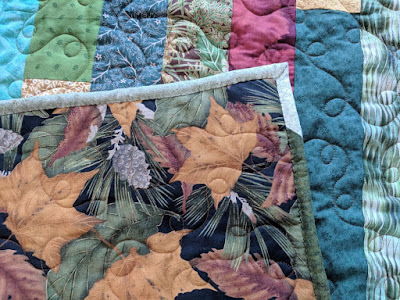 I finally pulled them out a few months ago, but discovered that most of the designs were by Philip Jacobs and Martha Negley. 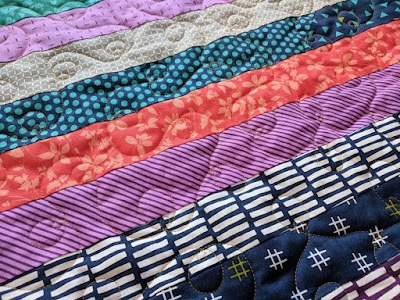 No matter, I love them just as much as Kaffe's fabrics. Backing and binding...I love striped bindings, even when they're not cut on the bias! 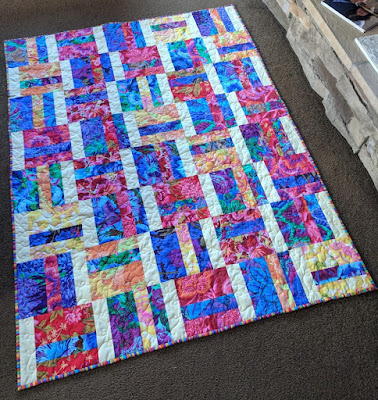 As in my previous post, here's a quilt I made using fabric from a "free" table at one of my guild's workshops. 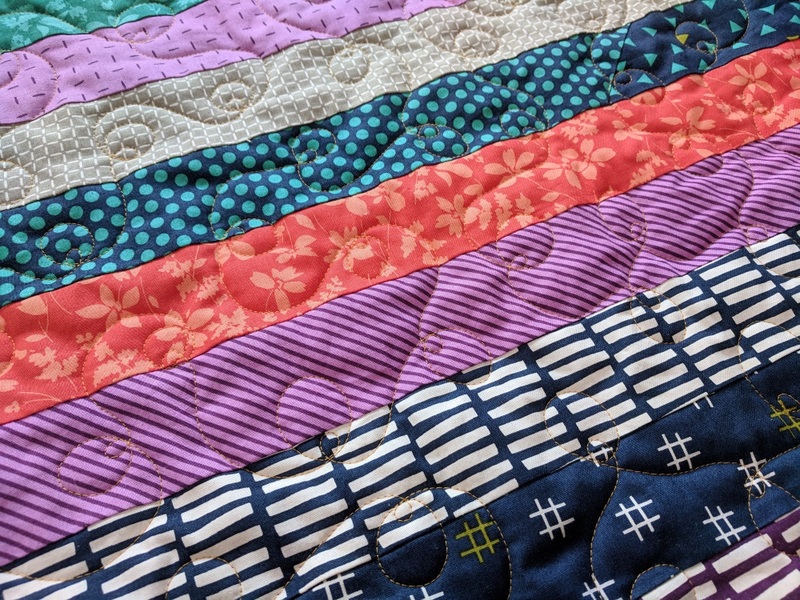 Not really my colors, but the fabric was already cut into three-inch strips, so it was easy to quickly sew up a top using the "jelly roll race" method. 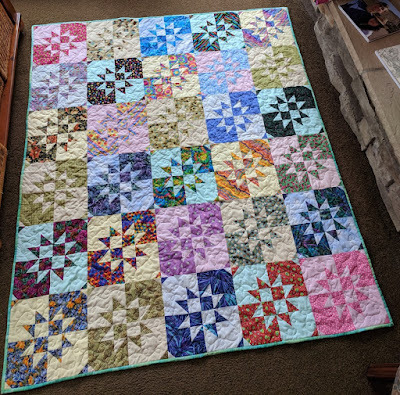 This will be given away to a worthwhile charity someday. 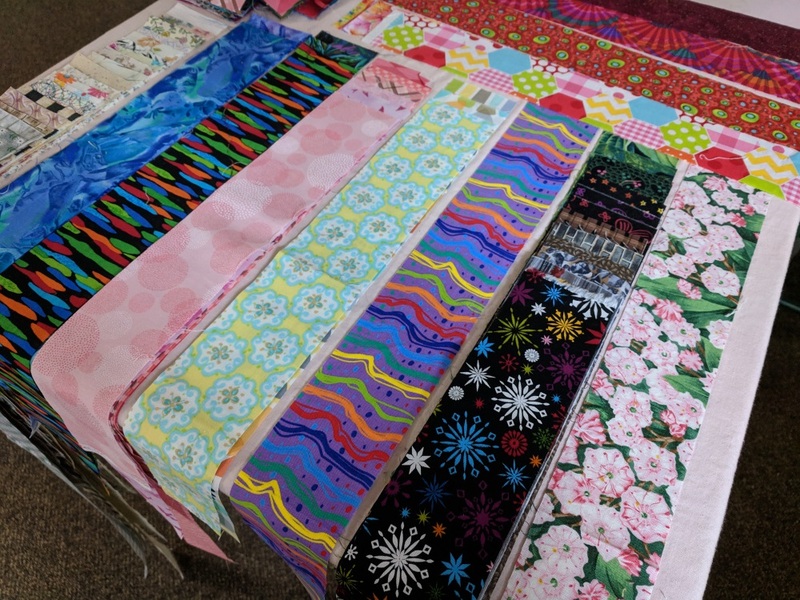 My guild usually has a "free" table set up at workshops and retreats, and I can't resist bringing some fabric home with me. 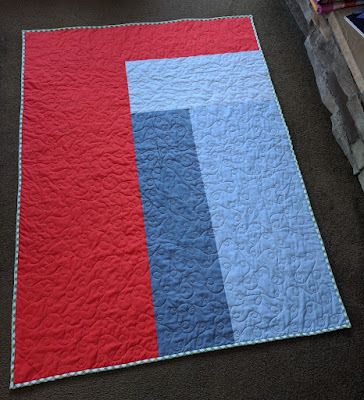 This quilt is made using one-yard cuts of three fabrics that I picked up a few months ago from one of those "free" tables. 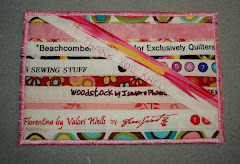 The pattern is free and called "Pink Picture Frame" by Wood Valley Designs. 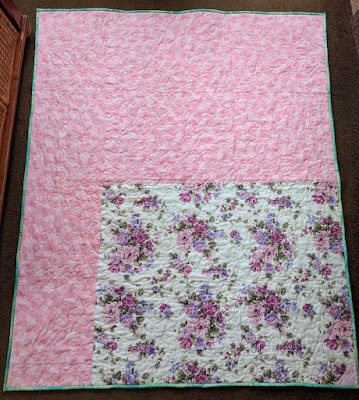 I had some fabric left over for the center part of the back. 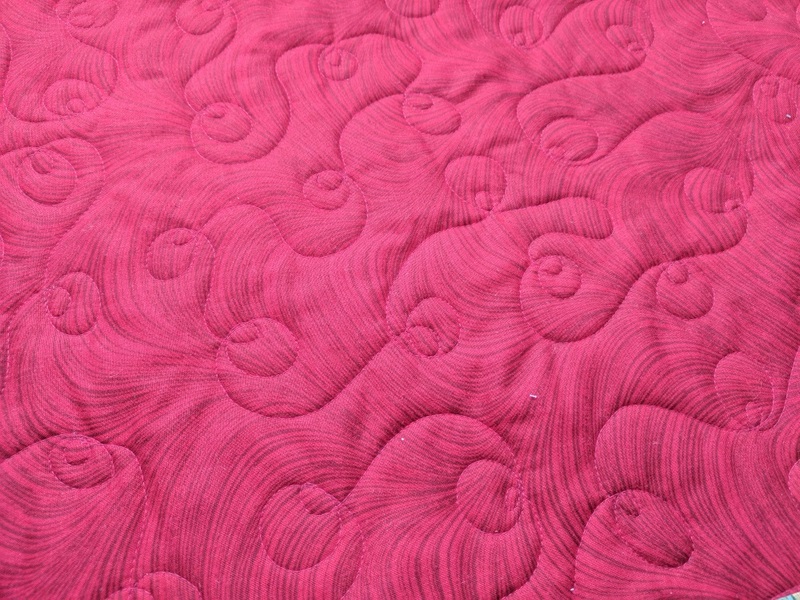 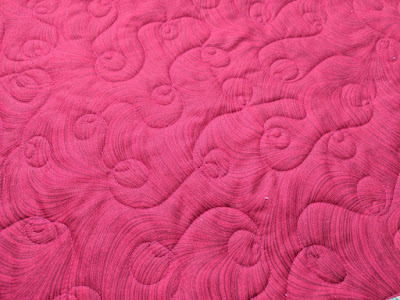 The red is from a backing that I had used on another quilt. 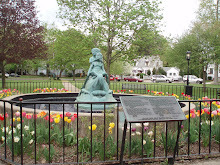 My husband Gary and I live just outside of Wellsboro, PA. We left the rat race of Northern Virginia in 1997 and never looked back. 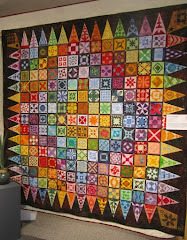 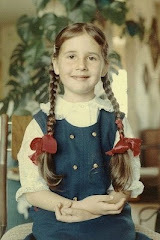 Oh yes, did I mention that I am a quiltoholic?